Are you looking for quick and easy pasta recipe? 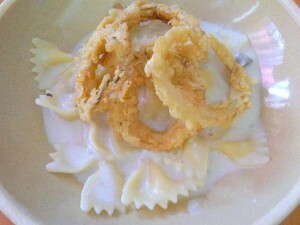 Well, my bowtie pasta and cream of mushroom soup with onion rings is a crowd pleaser. The first time I made this pasta dish, everyone simply wants another bowl. 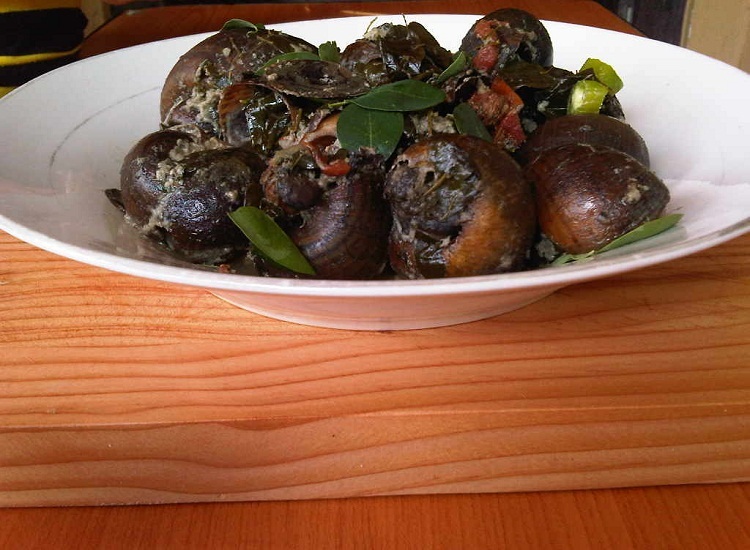 This dish is very easy to make and inexpensive, so a must try. 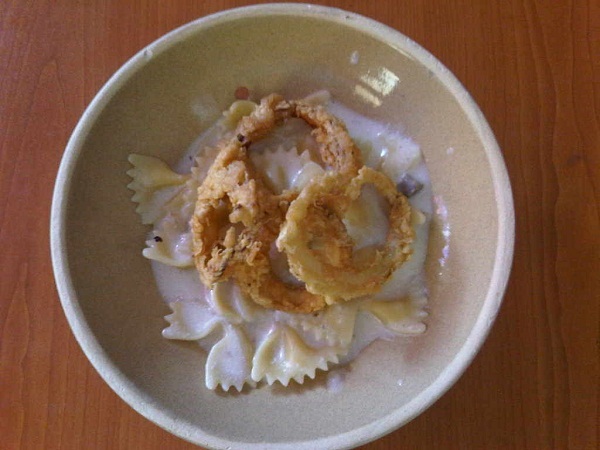 Bowtie pasta also known as farfalle originated in Northern Italy. The name farfalle is derived from an Italian word farfalla, which means butterfly. It is commonly called bowtie because of its shaped that looks like a ribbon or bowtie. Farfalle pastas are suited to tomato and cream dishes. Below are the ingredients you will need to make bowtie pasta in cream of mushroom soup. Prepare the pasta according to package direction. Set aside. Melt butter in a medium sauce pan then sauté the garlic for 3 minutes. Add the diced mushroom and cook for about 3 minutes. Next, pour the cream of mushroom soup, milk into the saucepan and season with pepper and salt. Add the pasta to the sauce and toss until well coated. Dip the onions into the egg then bread crumbs. In a medium sized pan, deep fry the onion rings until golden brown. 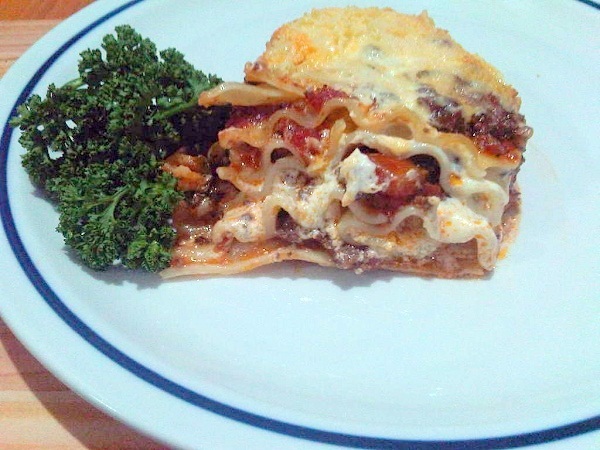 I made this dish for lunch but it is also great for dinner or whenever you have craving for cream based pasta. I used Campbell’s cream of mushroom soup for the cream sauce and it was delicious. By the way, you can add asparagus to make the dish even more healthier and colorful. You can also garnish the pasta dish using parsley. I’ve run out of parsley, i would have put some if I have stock in the kitchen.